discoveries, and how they may affect Earth's climate. Earlier, in 1966, he had stuck is neck out (in Nature, Vol. 209) with a brief item entitled Prediction of the Dates and Intensities of the Next Two Sunspot Minima. How on Earth was this approached? By looking at the planets not at the terrestrial effects, and not, astonishingly, at the Sun. The motion of the planets and their study takes us back to the time of Kepler and Galileo. Then, in the second half of the 20th Century, came rocketry and the possibility of space exploration. This called for advanced formulation and computational skills. Here, NASA and the Jet Propulsion Laboratory in Pasadena, California, enter the picture. The Russians, naturally, did the same thing, and some of them managed (through the Czechs) to keep in touch with the Americans. Each planet requires its own time-table and space geography. The computational challenges were mind-boggling, but they were conquered. Armed with the thus created new ephemeris (the planetary time-table), two Columbia University retired professors of geology, John Sanders and this writer, were able to prepare a planetary framework for the explanation of terrestrial climate. It was presented in a volume entitled Climate: History, Periodicity, and Predictability, edited by Michael R. Rampino (New York: Van Nostrand, 1987). Author Rhodes W. Fairbridge on his 80th birthday, May 21, 1994. The planetary framework did not appear fully formed, like Botticelli's Venus on the Half [Pecten] Shell on the shore of Cyprus (a temple marks the spot). Many famous astronomers had given much dedicated thought and time to the subject. In 1801, the Astronomer Royal in Britain, Sir William Herschel, discussed the nature of sunspots, their variability, their effect on climate, and the position of the planets as possible causative forces. Although this work was published by the Royal Society, it was ahead of its time. Some century-and-a-half later, there was much more information, but not much more light. This writer organized an international conference at the New York Academy of Sciences in 1961 (Annals of the NYAS, Vol. 95, ed. R.W. Fairbridge). At least half the audience was not impressed by the evidence. But one of them was an amateur astronomer, a former Singer sewing-machine salesman, Clyde Stacey, who lived in retirement in Puerto Rico. He worked longhand, without the aid of a computer, and not even a pocket calculator, using the mechanical analogy of gear systems to describe planetary cycles. Stacey had no academic qualifications, and found his writing rejected by both Nature and Science. He approached us after the seminar, and was invited uptown to Columbia University. For hours, he spelled out his concepts. It was then arranged for the New York Academy of Sciences to publish them (Annals of the NYAS, Vol. 105, No. 7, 1963), and a few years later, excerpts were included in The Encyclopedia of Atmospheric Sciences and Astrogeology (ed. Fairbridge, 1967). 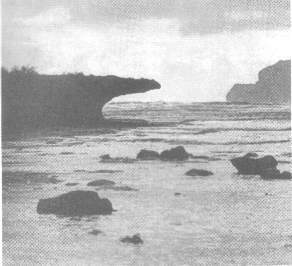 Photo at the left shows a currently eroding intertidal notch at Kapapa island., Oahu. 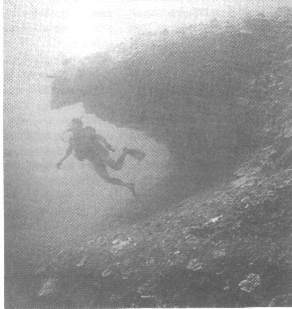 The one on the right shows an underwater formation of similar shape, 24 meters below the surface along the Kaneohe, Hawaii, shoreline. This is an example of the many types of evidence that tell geologists of long-term climate change. In this case, the clues suggest the rapid rise in sea level, produced during the glacial melt which began at the end of the last Ice Age, some 18,000 yearse ago. Stacey pointed out to us that a planet revolving about the Sun in its Keplerian elliptical orbit delivered no energetic jolt to the Sun's photosphere, such as might explain the episodic growth of sunspots. But when two planets are involved, as the faster one passes the slower one, there is briefly a combined gravitational effect that is felt by each of the planets, and more importantly, by the Sun itself. This is not a tide (which is minuscule), but a torque. The outer, gaseous layers of that star have a low viscosity that is susceptible to any change in the angular momentum, just like the Earth atmosphere (in contrast to its hydrosphere and lithosphere). One should bear in mind hat there are two sorts of angular momentum involved: one relating to the spin of a rotating body, and the other to its orbital motion. According to Theodor Landscheidt, one of the contributors to Rampino's Climatic volume (1987, noted above), the fun  starts when the Sun's axis of spin is overlapped by the axis of revolution of the planets. To put it another way, the barycenter (center of mass) of the Sun does not normally correspond to the barycenter of the total solar system. The barycenter of the Solar System as a whole varies, as the planet revolve, and their masses accumulate on one side, or the other (Figure 1). The revolution of the planets about the Sun can cause the center of mass (barycenter) of the Solar System to move from a position within the body of the Sun to a point outside it. The motion of Jupiter, the heaviest planet causes the greatest shift. In the upper frame, when Jupiter and the other heavy planets (Saturn, Uranus, and Neptune) are all on one side of the Sun, the barycenter (marked B) is located outside. In the lower frame, when Jupiter is on the other side, the barycenter will fall within the Sun. It is hypothesized that the resulting changes in orbital angular velocity of the Sun will cause variations in solar output, affecting climate on the Earth. The barycenter for the system as a whole can be greater than one solar diameter outside the Sun, or can find itself in the center of the Sun. One has two relevant axis to consider: the barycenter, which is the axis of revolution of the planetary system as a whole, and the Sun's own spin axis. Where Po is the orbital period of the outer (slower) body, and Pi is that of the inner (and faster) one. As with any wave-like form, the wavelength is the inverse of the frequency. If we take the periods of the two largest planets, Jupiter and Saturn, the beat frequency = 19.8593 (+ 0.6) years. For Uranus and Saturn, it is 45.392 (+ 0.4) years. For Earth and Venus, it is only 1.5987 years. But this is an approximation, because the elliptical orbits of all the planets vary, although within fairy predictable limits. These values were first calculated in detail by a French mathematician, Pierre Simon Laplace (1749-1827), who was the son of a small farmer, and happily survived the head-chopping entertainment of the Revolution. Later he became honored as an aristocrat, Le Marquis de Laplace, in 1835, who provided us with an Exposition de Système de Monde, which eventually appeared in Vol. 6 of the sixth edition of his collected works, published in Paris in 1884. He was able to prove the ultimate stability of the solar system, no less. One of Laplace's many useful observations, from our viewpoint, was the simple integer ratios that exist between the various orbital periodicities, 2:3, 5:9, and so on. These ratios apply not only to orbits, but to phenomena dependent upon them. Thus, the period of Jupiter (11.8626 years) and that of the mean Sunspot Cycle (11.1212 years) is precisely in the ratio 15:16. This essay began with a mention of King-Hele's work. King-Hele was able to identify a cyclical process referring to the return alignments of Jupiter, the center of the Sun, and the center of gravity of the Solar System (the barycenter). This King-Hele cycle is 177.9394 years. An now, we find that 1/15 of this cycle gives the period of Jupiter, and 1/16 gives the mean Sunspot Cycle. Sunspots have been observed telescopically since the time of Galileo (1610). By use of proxies, and by documentary evidence, an English antiquarian and schoolmaster, Derek Justin Schove, was able to trace the record back to more than 2,300 years. 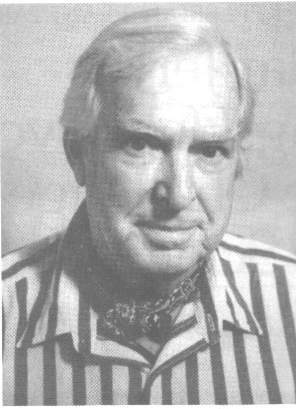 Schove's collected papers were published in 1983, and he was one of the invitees to the New York Academy of Sciences meeting in 1961. As mentioned before, not everyone there was overwhelmingly in favor of his results. Nevertheless, they can be now checked against the Jet Propulsion Labs' ephemeris, and they match. Following a suggestion by this writer, a Swedish engineer, Hans Jelbring carried out a power-spectrum analysis of the entire Schove sunspot (proxy) record, which was precisely confirmed and published in my 80th birthday volume, edited by Charles Finkl (Journal of Coastal Research, Special Issue, Vol. 17, 1995). In addition to the mean periodicity, Jelbring also showed that there were long-term cycles that were superimposed. Also included in that 80th birthday volume (1995), was a major synthesis prepared by two other Swedish investigators, Goran Windelius and Nils Carlborg (the former, alas, deceased; the latter at the Stockholm Observatory). The angular momentum question was closely examined, and illustrated in charming cartoons by an English artist, Peter Tucker. A feature of the Saturn-Jupiter alignments (we call the laps as in racing parlance, thus SJL for short) is their return to the same celestial position, roughly every 178.7337 years (9 x SJL). It matches the orbital symmetry (Fairbridge and Sanders, 1987) so we call it the OSP, or orbital symmetry progression (see Figure 2). In the 1980s, Fairbridge and Sanders worked with a NASA/Jet Propulsion laboratory-generated ephemeris of the orbit of the Sun around the solar system barycenter. They identified eight characteristic orbit patterns for the Sun, principally determined by the position of the most massive planet, Jupiter, with respect to the second most massive planet, Saturn, and modulated by the relative positions of the other planets. The Saturn-Jupiter Lap of approximately 19.8 years is then seen to be the key factor in solar-driven climatic patterns. The orbital symmetry progression and King-Hele cycle values (178.7337 and 177.9394 years) have a common denominator at 40,036 years, when their ratio is 225224. A number of other planetary periodicities conform to this value, such as the Jupiter-Venus Lap at 1.5987 years (x 1371). To achieve a complete planetary line-up, one has to go to 1,101,000 years (6160 x orbital symmetry progression). What is quite remarkable about this value is that it is precise round number in terrestrial (anomalistic) years. This is true also for the various beat frequency values, thus, the Saturn-Jupiter laps of 19.8593 years is exactly 55,440.0 in 1,101 million years. When it comes to the Earth's climate, it should be recognized that far greater fluctuations than the global warming attributed to human activity, are measured in the recent geological past. Volcanic eruptions, like those of 1883, 1815, and 535 A.D., or going back many millennia to Mazama (about 8,000 years ago), or Toba (74,000), all created cooling episodes. However, if we restrict the discussion only to the warmer cycles, we find that, in fact, these are just as large as the cool cycles, but simply in positive sense. It seems they must derive from solar relations. The Sun's emissions definitely fluctuate. For the last 10,000 years or so, we are provided with several time-series that quantify such events, or intervals (some lasting several centuries). Climate time-series spanning multiple millennia are few in number, but persuasive, because most of the little wiggles seem to go in the same direction. The essential criterion for a time-series is that a time measure is established corresponding to annual units, as in tree rings, ice cores, or varve (geological deposit) sediment layers. These can be then be matched against astronomically determined motions and periodicities among the planets, that includes also our own Earth and its Moon. Next, the times-series can be subjected to various forms of Fourier analysis to establish a power spectrum of periodicities. During the last decade, this procedure has yielded gratifying results. For example, a recent issue of the journal The Holocene (Vol. 12, pt. 6, 2002) contained numerous examples based on tree rings. In his studies of the Sun, Theodor Landscheidt pointed out that a fluid body set up in oscillatory motion develops convectional currents. It would therefore be logical to expect the strength and pattern of convectional flow beneath the solar surface to vary in response to changes in angular momentum. Illustrated here are hypothetical convectional currents set up by the solar jerk as the Sun's center (CS) orbits about the center of mass (CM) of the solar System. The ultimate source of climate is, of course, the Sun. Climatic fluctuation may be derived from (a) solar emissions, that is, radiation in various electromagnetic wavelengths. Ultraviolet, optical, infrared; and particle transmission, such as in the solar wind. From (b) orbital factors affecting Earth's distance from the Sun, which is constantly changing with the phases of the Moon, as well as the geometric arrangements of the planets. And finally, from (c) terrestrial factors, which includes latitude, topography, air-sea exchanges, ocean currents, atmospheric circulation and chemistry. Sun-Earth relations are sometimes compared with the game of baseball, you have the pitcher (the Sun), the hitter (the Earth), and not least, the crowd (all the environmental factors). The beauty of time measurement with substantive material, like ice, or mud, or wood, is that these things, in addition to mathematical analysis, can also be subjected to various forms of geochemical analysis. Isotopes of oxygen provide measures of temperature, and the flux-rate of carbon-14 (in tree ring wood) supplies an inverse signal of solar emissions. Both of these records go back more than 10,000 years, and can be compared directly with the astrochronology. This is the ultimate breakthrough for the 21st Century providing the potential for predicting not only the sunspot behavior, but also the El Niño expectancy and various storminess systems. Storms on planet Earth are predominantly in two categories: those originating near the Equator, and those originating in subpolar latitudes. The first of these introduces the role of the Moon, which has an important declination cycle (18.6134 years). Declination during the hemicycle shifts the Moon's zenith position nearly 1,200 km north-south over each hemisphere, which has the effect of accelerating the geostrophic currents like the Gulf Stream and Kuo Shio. A stronger Gulf Stream warms the Murmansk Current north of Russia, and pushes back the polar sea ice creating an extended season of open water, which increases the snowfall over Siberia and Central Asia. Historical (proxy) evidence of Arctic temperatures suggest an approximately equal role for the Moon's declination cycle and the Sunspot cycle (11/12 years), in the ratio of 3:5. But in high latitudes, the double Sunspot Cycle or Solar Magnetic Reversal (at 22.24 years), is more important, so the ratio would be 6:10, creating a well known 111 year periodicity. An interesting link with planetary cycles exists at a triple ratio figure : 317.749 years (7 Uranus-Saturn laps/ 16 Saturn-Jupiter laps/ 17 lunar declination cycles). 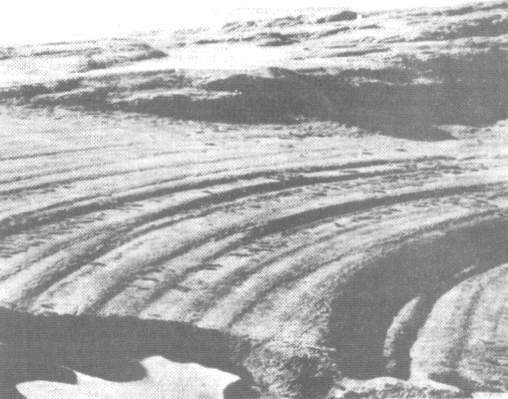 A storminess record in geomorphic (that is, physical) form is preserved in a staircase of 184 isostatically uplifted beach lines on Hudson Bay (Fairbridge and Hillaire-Marcel 1977, Nature. Vol. 268), which date back to more than 8,000 years. Their extraordinary regularity is duplicated in other parts of the Arctic, which denies any theory of randomness in storminess cycles. Their mean periodicity is about 45 years, but secondary modulation appears at 111 years, 317 years, and longer intervals. The Hudson Bay staircase, a typical series of 184 successively uplifted strandlines, situated in Richmond Gulf on the eastern side of Hudson Bay, Canada. The sand gravel beaches are preserved by permafrost, and recur with great regularity about every 45 years, representing the cycle of storminess. There are longer cycles of 111 years and 317 years evident in the beaches, which are linked with planetary cycles. In tropical regions, the most prominent storminess system relates to the Asiatic Monsoon. For more than a century, it has been known that extra snowfalls in the Himalayas were often the precursors of droughts and famines in India. The 17.6-year lunar cycle was long recognized, but there is another factor that is now linked to El Nino phenomena, shifting from the western Pacific to the Indian Ocean. There is a dynamic link between the Pacific and the Indian oceans through tidal action. As the globe spins eastward, the tidal bulge moves westward. However, in the tropical belt this diurnal rise in sea level is partially blocked by a series of physical constrictions, and a shallowing of the sea floor in the two largest continental shelves of the world (Sunda and Sahul shelves) that are symmetrically located north and south of the equator. From the Sunda strait in the west to the Torres Strait in the east, the ocean current is almost always towards the Indian Ocean, accelerated with the rising tide, and amplified during the lunar cycles. The water with each rising tide brings a cool pulse to the lower atmosphere, a sequence of such cool input corresponding to the tide cycles. These are modulated on a variety of time spans: fortnightly; seasonally (with the monsoons); annually; with the perigee/syzygy periods (4 and 8 years); and with the declination (18.6 years). An approximate resonance of 16:15 occurs between the 18.6 year lunar period and the Saturn-Jupiter beat. Even further, there are amplifying lunar cycles at 31, 62, 93, 111, 186, and 558 years. With increasing complexity, these periods and their harmonics interact with those of the solar emissions. The most prominent effects are the El Nino and related ENSO (El Nino/Southern Oscillation), probably forced by atmospheric feedbacks from the Indonesian/New Guinea choke region. ENSO occurs irregularly, at 2 to 9 years intervals, and discloses both lunar and solar potential forcings. The forcings are mostly fractions of the planetary quadrature series of 4,448 years. These appear at 154th of the quadrature, 69.50575 years, and three times that at 208.522-year forcings which are prominent in the carbon-14 flux of tree rings. To conclude, I would like to emphasize that the entire field of planetary-lunar-solar dynamics needs to be studied in relation to terrestrial climates. The assumption made by some scientists that the field of climate is isolated in a fog, limited by only a few centuries of data is self-defeating. With thousands of years of material waiting to be analyzed, some wonderful challenges call for the attention of the 21st Century. Dr. Rhodes Fairbridge is Emeritus Professor of Geology at Columbia University in New York. Born in Western Australia in 1914, he studied geology in England and Canada, ending up at Oxford University. He served during World War II as an intelligence officer in the southwest Pacific, under General Douglas MacArthur. He finds it of current interest that his first overseas job was with the Iraq Petroleum Company.